The Volkswagen Beetle Final Edition will be the last. Volkswagen of America said Thursday it is ending output of the Beetle in 2019, closing another chapter for one of the auto industry's most storied nameplates. Volkswagen Group of America CEO Hinrich Woebcken, in a statement, said there are "no immediate plans to replace it" as the automaker retools to become "a full-line, family-focused automaker in the U.S." and ramps up electrification efforts. U.S. sales of the Beetle have dropped 2.2 percent this year in a market that is increasingly shifting from cars to light trucks. Volkswagen Group CEO Herbert Diess has been a driving force behind the slimmed down product portfolio since he took over the VW brand in 2015. Demand for the Beetle and other VW hatchbacks such as the Golf also has come under pressure as American consumers increasingly migrate to crossovers and SUVs. Diess has explored reviving the Beetle, which starred as Herbie in the 1968 Disney movie, “The Love Bug,” as an electric vehicle to tap into the car’s cachet in popular culture. The company is also touting the upcoming I.D. Neo hatchback planned in 2020 as the new Beetle for the EV age. U.S. sales of the Beetle slumped to just 15,166 in 2017, less than one-seventh the sales of the Jetta sedan. The Beetle, with roots dating back to the 1930s in Germany, was revived and updated in 1998, with U.S. sales of the modern Beetle peaking at 83,434 in 1999. The original Beetle, billed as "The People's Car" because of its value price and sold in the U.S. from 1950 to 1979, was created by Ferdinand Porsche and sparked a raft of imitators. It was Adolf Hitler, at the Berlin auto show in 1938, who introduced a prototype for a small, oddly shaped, inexpensive family car that became the Beetle. It went on to become popular among U.S. suburbanites in postwar America and later a symbol of the counterculture of the 1960s. 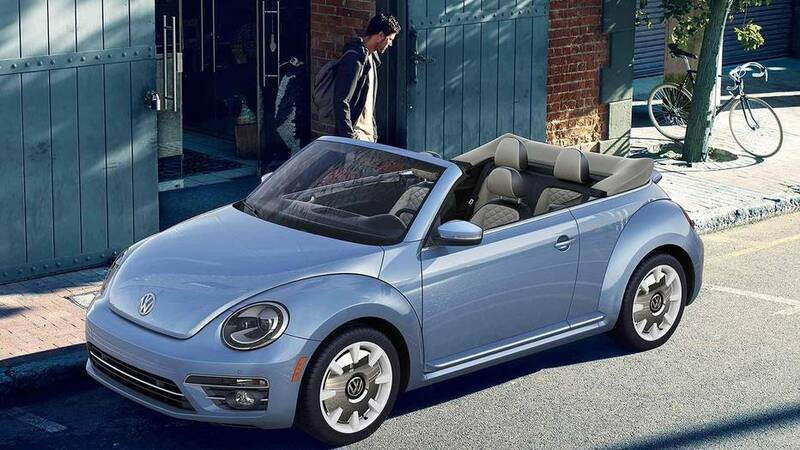 Volkswagen of America said two special Beetle models will be offered during the last model year -- Final Edition SE and Final Edition SEL -- in coupe and convertible body styles. Karl Brauer, executive publisher of Kelley Blue Book and Autotrader, expects other U.S. car nameplates to be scrapped in coming months. “Unlike Ford’s Mustang and, so far, Dodge’s Challenger and Chevrolet’s Camaro, Volkswagen will let an iconic model die rather than fight market trends," said Brauer. "While everyone saw the rise of SUVs coming, nobody predicted the level of market share they’d take from cars. In this environment, the business case for cars in general, and small cars in particular, becomes increasingly difficult to justify." "VW to end Beetle output in 2019" was originally published at Automotive News on 9/14/18.